The Shoshone Rose Casino & Hotel is an enterprise of the Eastern Shoshone Tribe of the Wind River Reservation. It opened as the Shoshone Rose Casino in 2007, near Lander, Wyoming, marking a new era for the Tribe. 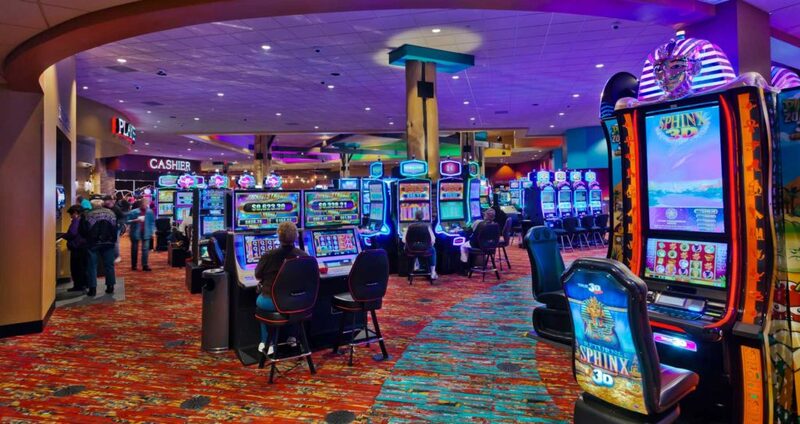 The casino featured over 300 slot machines, five table games and a restaurant. The all-new Shoshone Rose Casino & Hotel opens its doors in October of 2016, with over 400 slot machines, over 60 hotel rooms and two restaurants. It will instantly become the premier place in Wyoming to stay, play and eat. The Eastern Shoshone Tribe, now living on the Wind River Reservation in Wyoming, has been living, some say, in the Wind River mountain range and its environs for some 12,000 years. Recently discovered ancient cliff dwellings, attributed to Eastern Shoshone builders, in the Wind River Mountains are evidence of just how long the Shoshone Tribe has dwelled and hunted in these lands. By the early 1800s, the Eastern Shoshone band ranged along the eastern slope of the Rocky Mountains from southwestern Wyoming to southwestern Montana. In the 1860s, the band camped for most of the year in the Wind River Valley, which the Shoshones call “Warm Valley”, moving to the Fort Bridger area in Wyoming for the summer months. In 1805 the Shoshones encountered and then directed the Lewis and Clark expedition towards their goal of finding a waterway to the Pacific Ocean. In fact, without the guarantee of safe passage from the Eastern Shoshone, the Lewis and Clark expedition would have never succeeded. 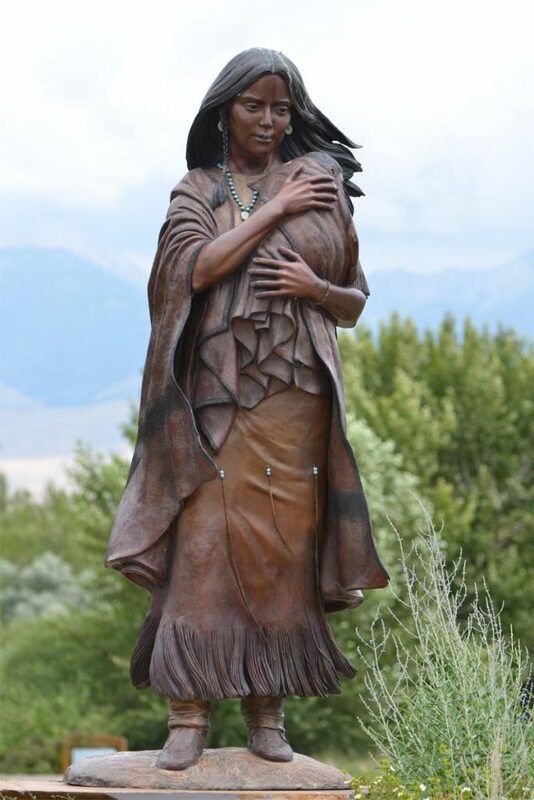 The well-known Shoshone woman, Sacajawea, who was then only about seventeen years old and carrying a newborn infant, accompanied Lewis and Clark, helping guide them through the northwest to the Pacific Ocean. In 1840, a young man named Washakie became the principal Chief of the Eastern Shoshone, a role he would fill until his death over 60 years later. 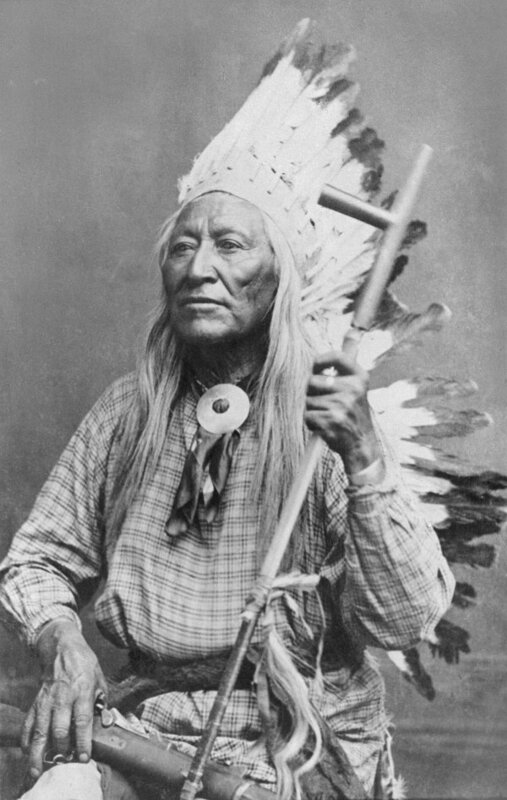 Chief Washakie represented his tribe at various treaty and cessation councils with the federal government. The first treaty of Ft. Bridger (1863) set the rough boundaries for the Shoshone Reservation, later called the Wind River Reservation. The treaty allowed the Eastern Shoshone a territory of about 44,672,000 acres, covering parts of the states of Utah, Idaho, Montana, Wyoming, and Colorado. The second treaty of Ft. Bridger in 1868 fixed boundaries to a much smaller area of 2,774,400 acres in West Central Wyoming. As a result of the Brunot Cession of 1874, the Wind River Reservation was further disminished in return for a sum of $25,000 the southern gold-rich portion of the reservation was ceded. The rush of miners to this area near South Pass, beginning in the early 1860s, marked the first major wave of American encroachment into the Wind River-Sweet Water region.